Sofia Osthed has done all the groundwork for the construction of the Lexie and Ethan trail. The Gofundme page has all the details of this lasting memorial to our teammate and friend. Hi, my name is Sofia Osthed. Almost a year ago, my best friend Lexie Fenton passed away in a car accident along with Ethan Fraga. I would like to build a mountain biking/hiking trail in their honor. 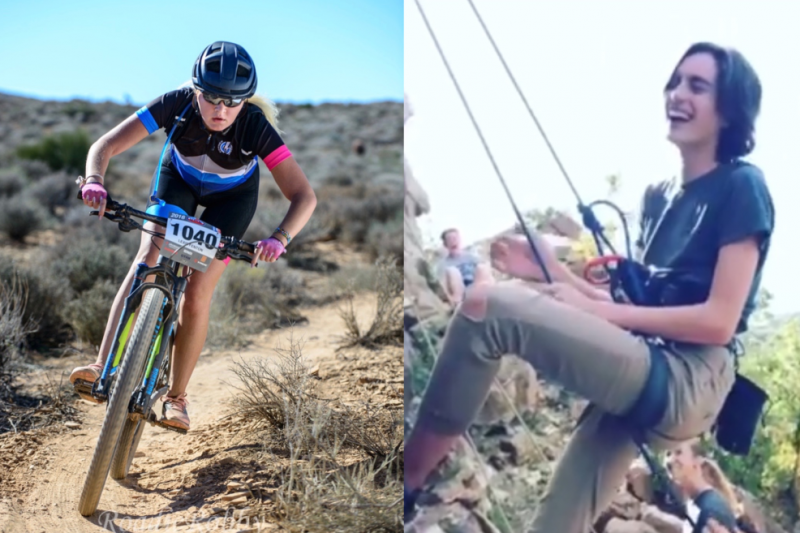 One of the things Lexie, her twin sister Lauren, and I loved to do was mountain bike together on the Corner Canyon Mountain Biking Team. With the creation of this trail, I thought it would be nice to share something we love to do as a source of healing for everyone. I love Lexie very much. She has a very special place in my heart. And although I wasn't very close with Ethan, I would like to include him in this because I believe it will be healing to everyone affected.